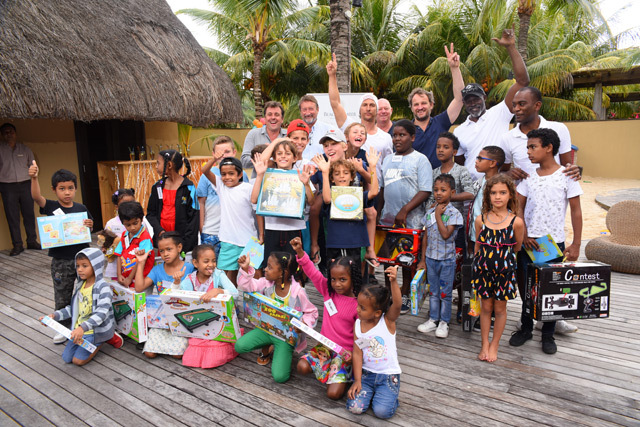 This August 12th, Trou aux Biches Beachcomber Golf Resort & Spa was at the heart of an exceptional event. 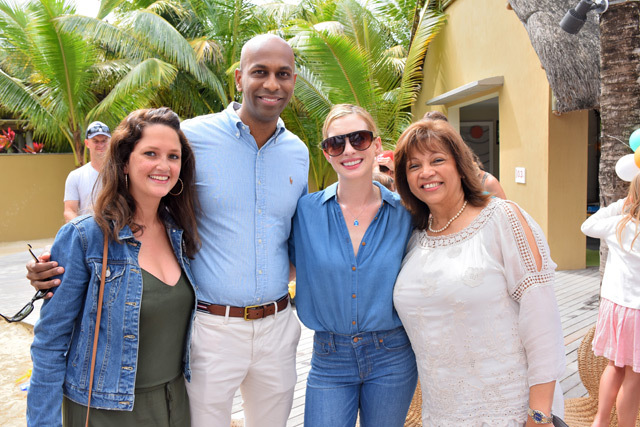 Prestigious guests joined Beautiful Neighbours, a monthly ritual, as we call it, between the children of the community and those of the Kids Club. 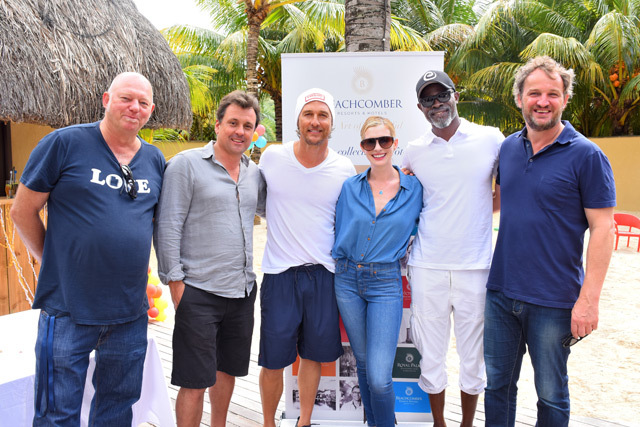 A plethora of Hollywood stars - Anne Hathaway, Matthew McConaughey, Djimon Hounsou and Jason Clark – who were residing at Trou aux Biches Beachcomber for the shooting of Serenity, participated in the ritual. Young and old loved it! In recognition of the welcome they received, Anne Hathaway, Matthew McConaughey, Djimon Hounsou, Jason Clarke, the director of the movie Steven Knight and the producer Guy Heeley, kindly accepted to participate in this ritual with their own children – a ritual whose sole aim is to bring together children of the community and the children of the Kids Club in a spirit of sharing and friendship. 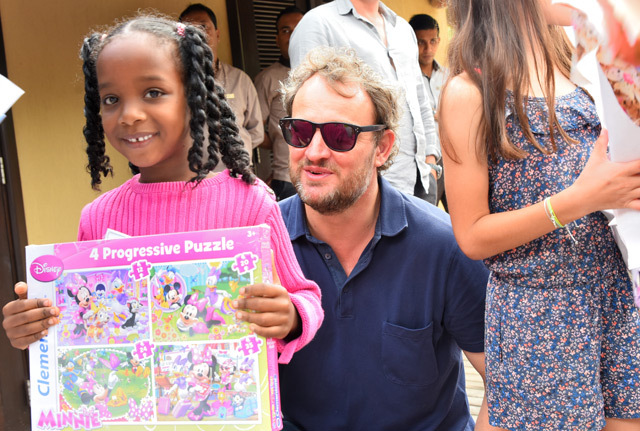 On the morning of August 12th, about fifteen children of Cité Mère Teresa had the opportunity to bond with children of the Kids Club and the children of the celebrities. 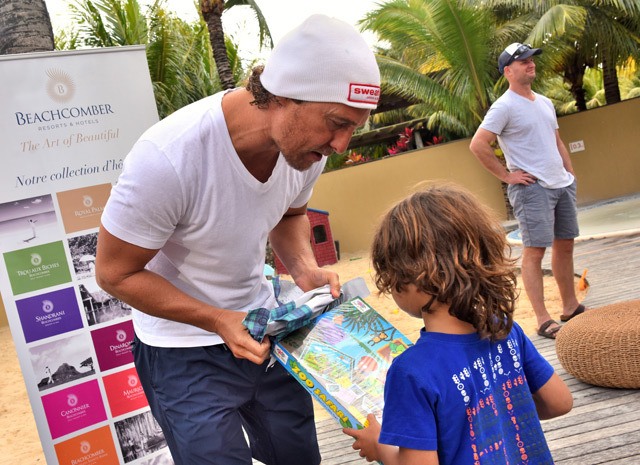 The entertainment crew of Trou aux Biches put together fun activities for them: Face Painting, balloon release, babyfoot for the older ones and a show which delighted the young guests. 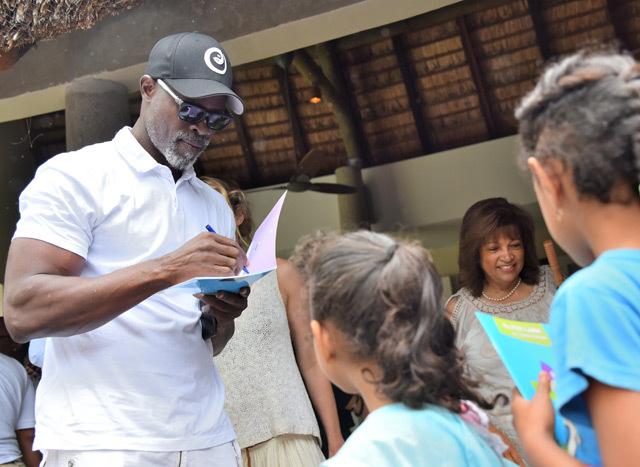 After a delicious lunch, skilfully prepared by the brigades of Trou aux Biches, the children leapt into an autographs and selfies spree! « The actors played the game! They signed the painting booklets. Parents and their children immortalized the moment by posing next to the stars!, » says Fatima Chuttoo. To top it off, the actors’ children distributed gifts. Children and parents went home starry-eyed ! 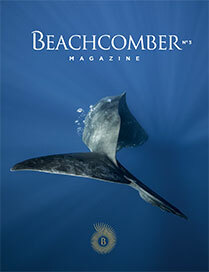 Part of the shooting of Serenity was also hosted at Royal Palm Beachcomber Luxury. The release of this upcoming blockbuster is scheduled for next year !